Each year, expert judges choose the best hand-hooked rugs from the many rugs entered into the annual juried competition known as Celebration. Now in its 27th year, the competition showcases rugs from all over the US, Canada, and from around the world. 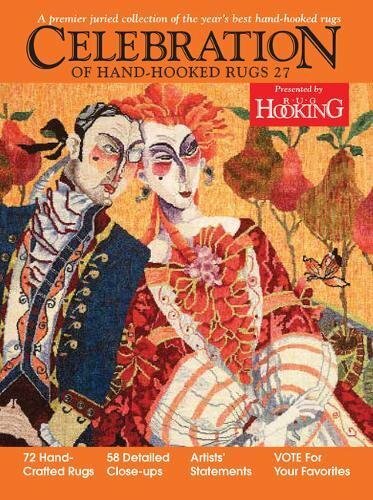 Each winning rug is presented in a full-color spread that includes a photo of the rug, a close-up detail highlighting fine workmanship, and comments from the artist and the judges. Celebration is eagerly awaited each year and is overflowing with inspiration for all who are interested in fiber arts. If you have any questions about this product by Ampry Publishing, LLC, contact us by completing and submitting the form below. If you are looking for a specif part number, please include it with your message.